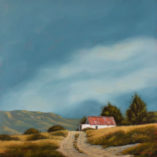 A stormy sky and a lonely cottage are depicted here along a small pathway off the main road to Ladismith. 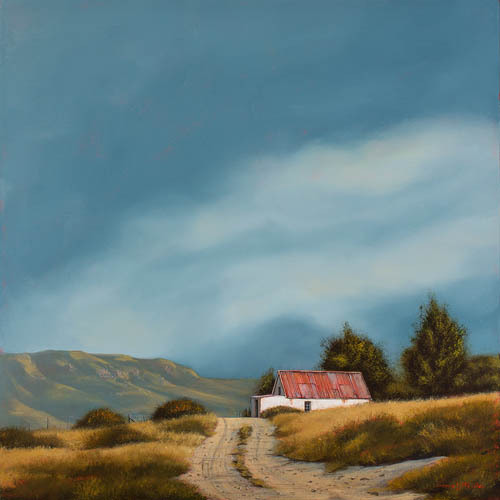 The ‘middelmannetjie’ (which literally means the little man in the middle) in the centre of the road is a typical result of driveways and less well used roads in the farming communities of South Africa, where the sand is built up between the car tyre paths. Ladismith is a town and farming centre in the western Klein Karoo region of South Africa’s Western Cape province. In 1852 the farm Elandsvlei was set aside for the town, and it became a town in 1862. 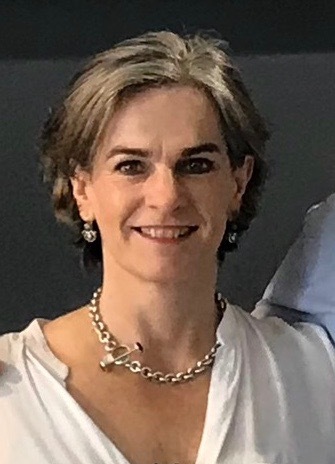 It was named after Lady Juana María Smith.